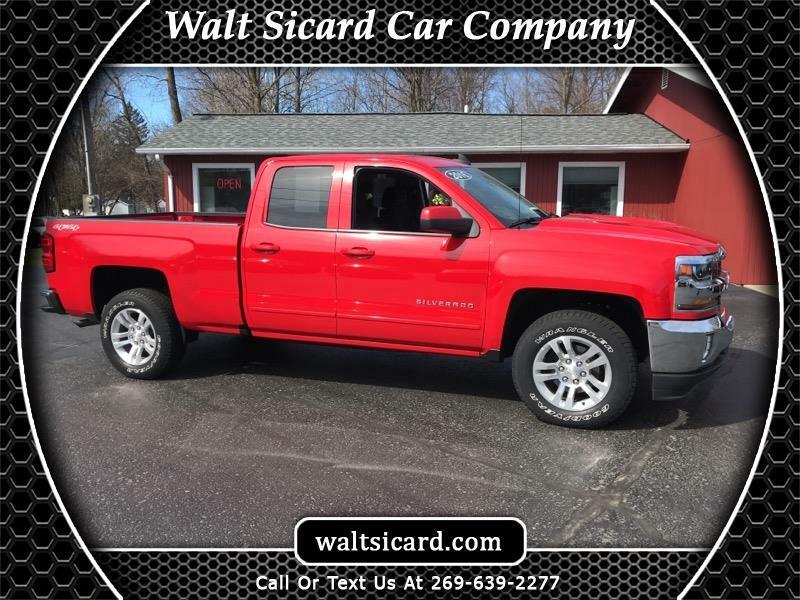 Red Hot 2016 Chevrolet Silverado 1500 LT LT1 4WD 6-Speed Automatic Electronic with Overdrive V8 2016 Chevrolet Silverado 1500 LT in Red Hot, Sought After Options Include, **STILL UNDER FACTORY WARRANTY**, ** NON SMOKER **, 6-Speed Automatic Electronic with Overdrive, 4WD, jet black Cloth, ABS brakes, Alloy wheels, Compass, Electronic Stability Control, Emergency communication system, EZ Lift & Lower Tailgate, Heated door mirrors, Illuminated entry, Low tire pressure warning, Remote Keyless Entry, Remote keyless entry, Single Slot CD/MP3 Player, Traction control. **WALT SICARD CERTIFIED! Recent Arrival! Odometer is 15037 miles below market average!